As with everything in the online realm, at some point, scammers are going to find loopholes in system processes to artificially boost their presence. In SEO, for example, Google has to constantly evolve its algorithm to stay a step ahead, and they can't reveal the inner workings of their process for fear of people seeking out vulnerabilities. Facebook too has to continually refine and tweak its algorithm to ensure people aren't being inundated with junk - if they were to over-emphasize Page Likes, for example, Like sellers would ramp up their promotions. People are always looking for ways to get ahead, to 'hack' the systems in order to gain an advantage - which makes sense to a degree, but it often also goes against the purpose of why such options exist, and ends up annoying the platform, the users, and/or both. 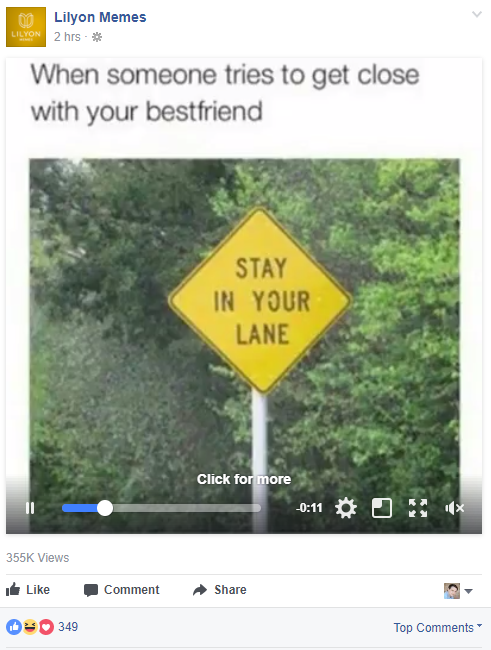 This is not actually a video, it merely plays that static image for 14 seconds, but because it's posted as a video, it gets more reach. 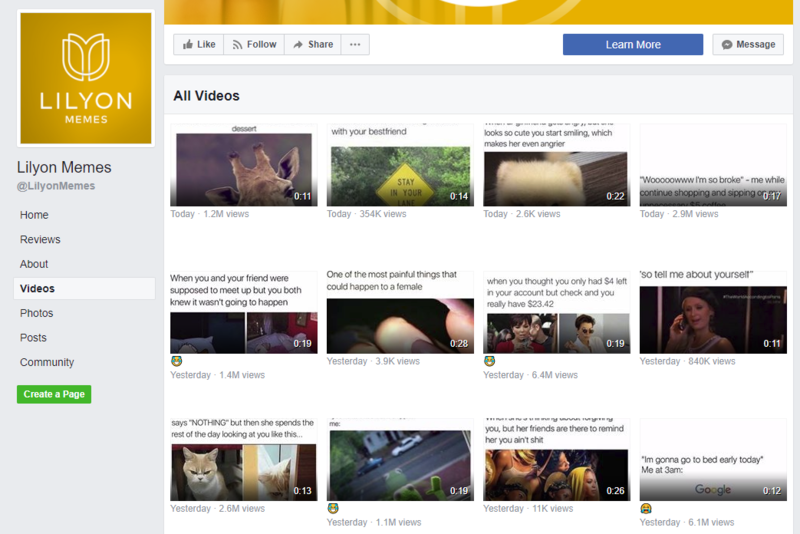 This is a tactic that's clearly working for this Page - check out the view counts here, and all of these are static images posted as videos, all similar length. It's not necessarily scamming, they're not advertising their content as anything different to what it is, and as the videos autoplay in the News Feed, most users wouldn't even notice that these are videos. But they generate a lot more reach than they would as static images. But now, Facebook's got wind of this, and they're looking to take action, announcing a new News Feed algorithm tweak which will detect and restrict the reach of static images posted as video content. Using a new 'motion scoring' system, Facebook will be able to detect movement inside a video, and demote content that's not actual video, despite being posted as such. This will likely also impact those Facebook Live posts which include virtually static counters, which have also helped some Pages boost their reach. Again, that's not necessarily deceptive, but it does go against what video content is, providing a lesser experience for users. In addition to this - and maybe worse from a user experience perspective - Facebook's also cracking down on Pages that post still images with play buttons inside them to lure clicks. 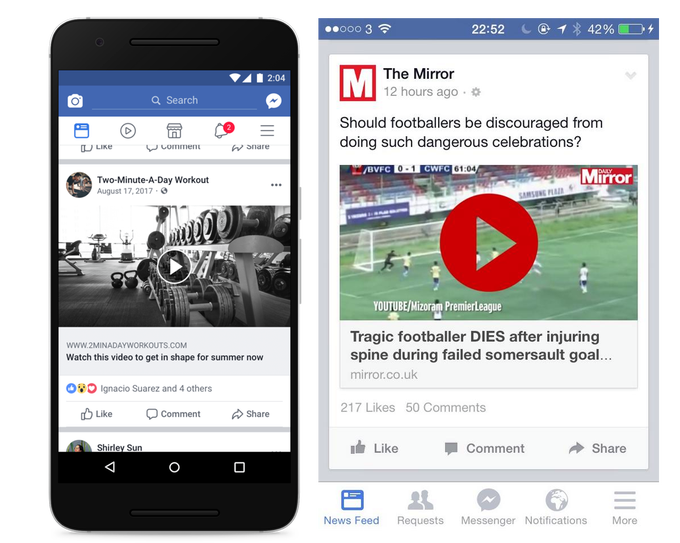 "When people click on an image in their News Feed featuring a play button, they expect a video to start playing. Spammers often use fake play buttons to trick people into clicking links to low quality websites." In order to limit the reach of such posts, Facebook will use its machine learning systems to detect fake play buttons in preview images. So what will the impact be for your Page? Nothing, so long as you don't use these tactics. In order to avoid any negative impacts, ensure you're not posting play buttons in your preview images and don't post static content as a video. Such tactics may have provided some benefit for some Pages in the short term, but as Facebook rolls out these new changes, these posts will see a significant drop in reach. It's a good update for Facebook, further removing ambiguity around the types of content being posted, helping to ensure a better user experience by providing what you would expect from both video and non-video content. Now, when you see a video play button, you can expect it to actually work, while eliminating mis-uses of Facebook Live can only help to improve the overall quality of the offering, which will bring more users back to Facebook Live more often. Now we wait to see where the next Facebook reach loophole will be.